The Ultragauge STILL reads mileage when the engine is off and it's saying error. This was a constant thing I saw when I was EOCing with my Auto RAV4. Before I realized that was NOT a good thing to do. One way to prove it really quick is to take note of the mileage before you kill the engine, then see what it shows when you bump start. It will be higher. Your kill switch looks great! Way to go! What vehicle is that? And what are you killing? Are there any more details you want to add that will help other people driving a manual of your type of car? I guess first at , just foot off gas pedal coasting...coasting in gear?. Type B: (ECU B, tells direct actual fuel flow (newer cars) see PID 01-5E ? note carefull,y this is Division and dividing by zero , is illegal.. dig it? What your scan tool does, is not known, ask the designer.... but these are facts here. take the example of type A, MAF, my maf reads some flow, when ECU is in CUT fuel. so I get a lie. see? why? fast speed, but shows flow that is not real. as a divisor. In cut fuel the mAF reads but ecu does not inject. so i get a small error. this ecu shows ( example) 45mph /div, by zero flow. in truth cut fuel MPG is not measurable at all. see why? It's all in a nonlinear zone. Did you know the ECU feeds fuel to the CAT, just to keep it hot , coasting? It's like 200 mpg fuel rates. when you kill spark , there str no injections, at all. this is a hard fast ECU rule. zero RPM. zero flow. and if you do that, there is no MAF reading , nor is there a PID 01 5E , fuel rate. BTW2, if the crank spins (in gear coast'g) and the rpm is over 300 , the ecu inject or a rolling start. and if the ECU is on, and VSS is clicking, that is say 45mph / divided by 0) div by zero is illegal. in math. it's Infinity. if i did this , i'd send 9999 mpg to the display , for the indication of INFINITY. and do. my gauges are here, x3 see my infinity trap. is free code. all Blue tooth. I send that data to the byte bucket. btw3, the first scanguage sold had the divide by zero error. and they fix that LONG ago. ask you self how the did that. there are only 3 ways. force zero MPG, nah that scare the kids. if flow =0 (or ERROR,or INF) set flow to .00000001.
like computing MPG based on Gas tank evaporation. GOOGLE DIVIDE BY ZERO ERRORS. Last edited by jtgh; 08-19-2013 at 04:52 AM..
your scan tool does a valid pid scan, to see all valid scans. 1: if not 01 5E pid valid, the tool must use MAF reverse calcs. most older cars dont have this. these are only accurate on a hot engine and in closed loop, and are not accurate, otherwise. 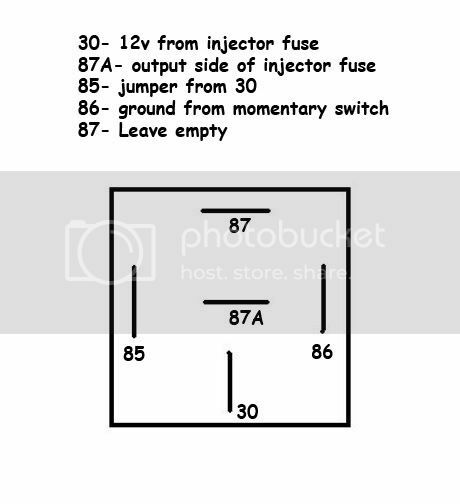 core of the ECU injection rate algorithm. This may be, vastly more accurate at all times. but not on the low end. the low end is a very tiny flow, at cut fuel mode. Does, this help understand the limits for ECU OBD2 scans? The ECU also uses the injector to keep the TWC, three way CAT hot. If car is CALIF car , you can be sure it does. yes, this wastes fuel. but makes the air clean. the Suzuki; if you kill the CMP (cam sensor , the spark dies on purpose.) Dead Distributor. this is because the ecu MUST have cam location data. the Ford, runs off the crank sensor, it can do that magic, because, it CAN. it has wasted spark ignition. shuts down the mandatory spark misfire monitors. I used many types of ECUs to test my OBD tools, I make. That is because , this ECU you have , drops all the fuel trims on the floor. It did that due to limphome mode. Depends on year, make of car and even if car is from Calif. how it does that and how fast. on most microprocessors, this is a NMI, "non mask-able interrupt." That means, in uCode jargon, the last math instruction was (DOA). how you or your scan tool handles NMI is your job,. Me ? I trap them, and use a very tiny number, to avoid all errors of this type. mine is really, in OBD2 parlance just a 16bit integer. PID rules. here is 1 more, fly in the ointment. the ECU may produces wrong numbers in the live data stream , when in LIMPHOME. each ECU works different, Iv'e run many and they all have odd , results in Limphome. I have a Plamer Software scan tool software, and comes with the MPG algorithm for free. I does in fact never divide by zero, it shows about 150 mpg. coasting, in cut fuel. and you can add in your own macro instructions an display any thing you want ! my question to you, why is 150mpg not good enough.? That number btw is very inaccurate. on all cars. it's a huge number yes but is not accurate. It's not because no ecu was ever designed to do that. not 1. at all times and all modes. but does work well , hot engine, flat road , easy cruise. and the O2 sensor fulling engaged. on my car and my guage, i have a closed loop LED. i keep the LED going for the longest time and MPG is MAX ! just 1 little LED, can do that. IN the end , only the fuel tank refill , is the RAW truth. Rubber meets road. BTW 4, be careful slowing down with no brakes (lamps), the guy behind you can eat your can. Last edited by jtgh; 08-19-2013 at 05:00 AM.. I installed an EOC switch today. Here is how I did it, should work on any 89-94 as far as I know. 11. Solder and soldering gun a must for underhood wires. Don't want to break down because of bad connections, Do you? Begin by disconnecting battery. Pull 15 amp injector fuse in under hood fuse panel. Cut 2 sections of wire roughly 6 feet in length. Solder a spade connector onto fuse holder, and one section of above wire to other side of holder, mark this wire with a piece of tape at end. Solder another spade onto second wire used as return from relay. Run these 2 wires into underdash to mount relay. You will need the momentary switch grounded on one side, this will be to trigger relay. The other side of switch goes to relay. Diagram below. Mount your switch wherever it is easy to get to, I used my shifter knob. Once you have all connections made plug the fused wire into fuse panel and the unfused wire in as well. Pic below. Reconnect battery. Install fuse, match the size it calls for 15 Amp on my car. Start car, verify it runs. Press button verify it dies out. To use while coasting shift to neutral for coast, hit button. Enjoy. Bump start vehicle, no key needed. Just release button, ease out in clutch in a higher gear, do not pop clutch, but do not overly slip either. Takes practice but saves alot of fuel. Questions just ask. Edit: 85 and 86 are reversed on my diagram. These pins are the control side and reversible. One ground, One power. Makes no difference on the position of these 2.
this is kinda/sorta how I plan to do a toyota kill switch. Does anyone know where you would get the mini fuse male spades to fit the fuse socket? Can someone make a shopping cart from a website I can buy everything from? I was considering doing this type of setup on my TDi.. but then I found out that it idles at .1gph, which really isn't enough for me to even bother worrying about. This means on a full tank, I could let my car idle for 180 hrs. All friggin' week.